This book is a practical Guide to assist professionals whether in practice or part of corporate team, in filing efficiently and effectively, good quality XBRL Documents with MCA. The book is a piece of work which will act like a practical guide and help to understand and appreciate XBRL concepts and resolved XBRL related issues. 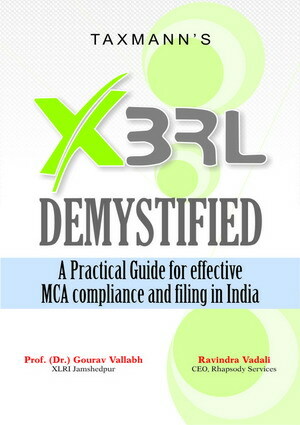 We are sure that through this book, the concepts of XBRL, are truly and completely demystified and understood.